Obituary for Mary Pearl (Anderson) Bankes | Timothy A. Berkebile Funeral Home Inc.
Mary Pearl Bankes, 86, of Bedford, died on July 8, 2018, at UPMC Bedford Memorial Hospital. She was born on September 29, 1931, in Bedford, a daughter of the late James A. and Sara S. (Nave) Anderson. On September 16, 1951, in Bedford, she married John J. "Jack" Bankes who preceded her in death on April 12, 2008. She is survived by the following family: a son, Joe D. Bankes and wife Nanette of Bedford, a daughter, Julie Dibert and husband Terry, of Bedford; two sisters, Helen Mae Koontz, widow of Donald, of Bedford and Judith Ann Anderson, of Hagerstown, MD; two brothers, Norman J. "Mike" Anderson, widower of Donna, of Bedford, and Robert D. "Sam" Anderson and wife Lynn, of Bedford, six grandchildren: Jocelyn McCorkle and husband Joshua, John Bankes and wife Ashley, Joette Bankes, Jaclyn Snyder and husband Jason, Justin and Jenna Dibert. Six great grandchildren: Daniella, Finley, Marabelle, Eden, Marlie, and Jaelyn. She was preceded in death by one brother Johnny Anderson. Mary Pearl was a member of the Bedford Presbyterian Church. 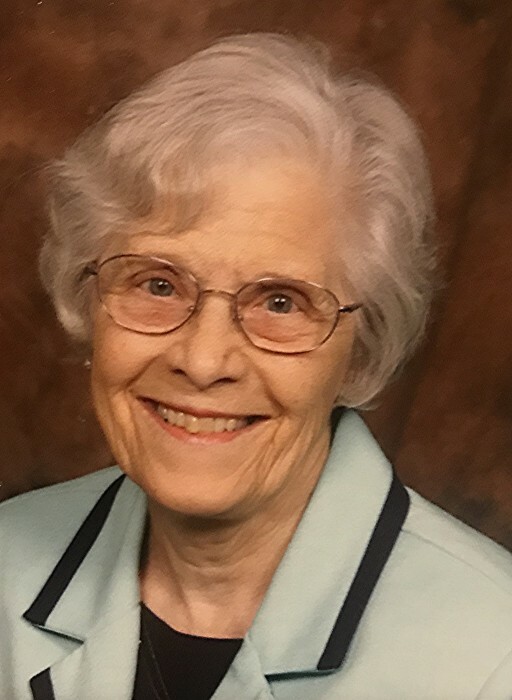 She was a member of the Rural Letter Carrier Association and a 60 year member of the Bedford American Legion Auxiliary, She enjoyed her flower beds, being outside and her family. Funeral Services will be held on Thursday, July 12, 2018, at 11:00 a.m., in the Chapel, at the Timothy A. Berkebile Funeral Home, in Bedford, with Michele Fisher officiating. Burial at Bedford Cemetery. Friends will be received on Wednesday, from 5 - 8 p.m. and on Thursday one hour prior to the service at the funeral home. Those wishing can make memorial contributions in Mary Pearl’s name to the Bedford Presbyterian Church, 145 South Juliana Street, Bedford, PA 15522 or The Bedford Fire Department, P.O. Box 655, Bedford, PA 15522. Our online guest book is available at www.berkebilefuneralhome.com.